Case in point is the Prestige Veneer model by Regency. A standard, elongated desk shows off a mahogany finish walnut veneer with molding, brass-colored handles, and lockable file drawers. 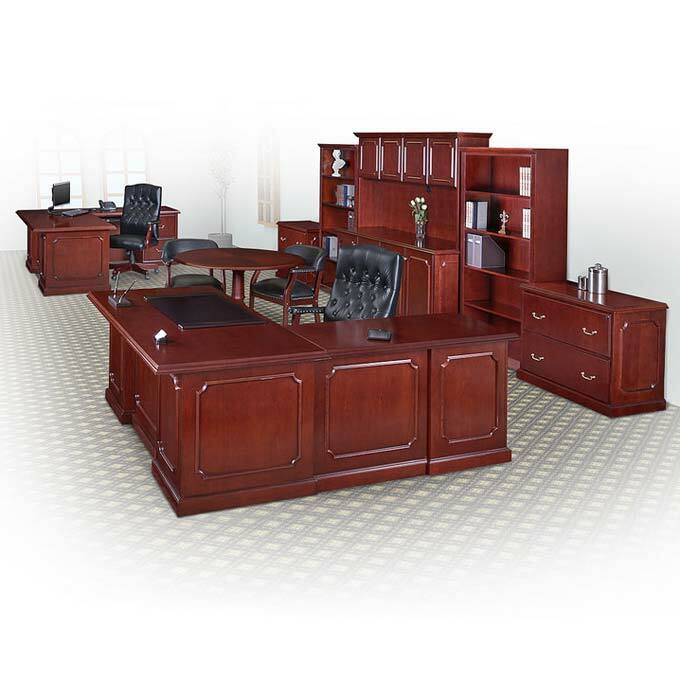 Outfit an executive office floor with matching pieces that include a storage buffet, five-shelf bookcase, and four-door hutch. 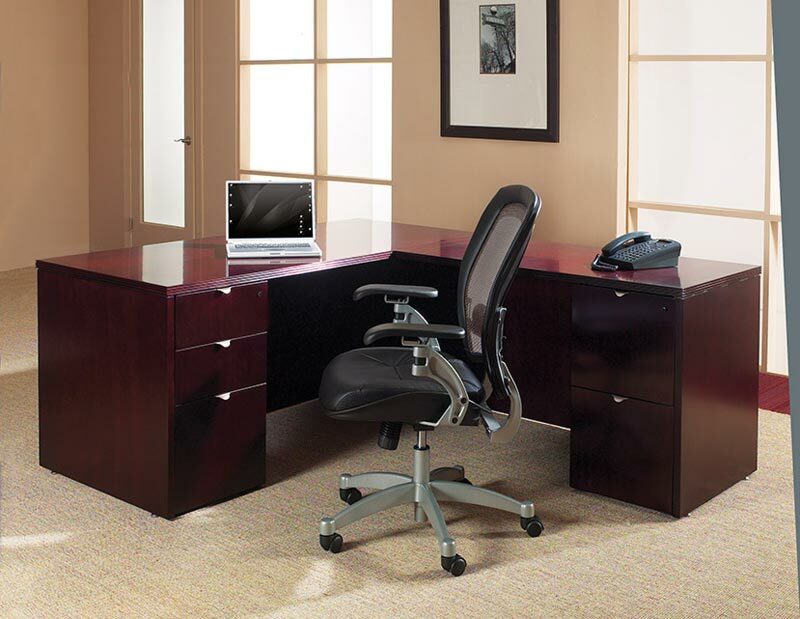 The Kent Series L-shaped office desk by OFD offers a choice of mahogany, espresso, or light cherry tones. Curved, metal handles provide the contemporary touch. The L-shape allows spacing to work on multiple projects simultaneously with a minimal footprint thus helping to maximize productivity if available space is limited. 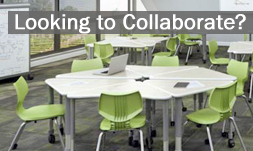 For a postmodern look, you can’t go wrong with the Kent Series U-shaped desk. Wood veneer, glass, and metal all come together to create a desk and hutch combination that draws the eye. 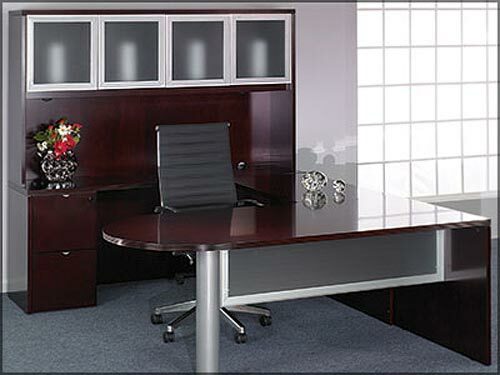 Ideally suited for an office in a Class A building, this type of desk exemplifies style and taste for an executive office suite. If we have piqued your curiosity on our selection of professional office desks, please contact us and we are more than happy to help you select the perfect executive office desk solution for your organization!